Are you considering door installation 20878 companies in Gaithersburg, MD? You may not realize, but the entrance doors to your office or home say a good deal in regards to what lies beyond those doors. If the doors are unattractive and out-of-date, what message do you think is represented to the neighborhood concerning your home or business? Sometimes, it’s a necessity to give these outdated doors an upgrade or to carry out regular upkeep. The benefits to installing a new entry door in the 20878 area are limitless. Perhaps your entry door is weathered and has seen better times? Or perhaps you are just redesigning and want a new entry door to match your refurbished home or business. And other times, your door may simply be needing regular maintenance service such as doorjamb repair, door hinge repair, and door frame repair. Customers usually ask for repair or replacement of interior doors for causes like wear-and-tear or door hardware that needs to be changed. Luckily, whether the doors to your business or home require repairs or a whole upgrade, King Door and Lock Maryland and DC has your commercial, garage, and residential door repair and replacement needs taken care of. We provide expert Montgomery County door installation expertise to offices and homes in Gaithersburg, Maryland with professional and courteous service, transparent pricing, and 24/7 door repair or installation. Our company is a local, honest business that takes pride in providing top notch services to residents of Gaithersburg. All our techs are highly qualified and trained, and we concentrate on installing and repairing commercial, garage, and residential doors. Our company specializes in the installation and repair of commercial doors such as: storefront door installation, automatic doors, and installation of fire-rated doors.If you’re a business owner, then it’s vital that you take care of the doors to your office. It is important to keep the customers that go in and out of your office’s entry doors safe. When a door isn’t functioning properly, notably an automatic door, this could possibly result in an unfortunate injury. At the same time, if the doors to your office are not in working order, this may impact electricity bills as well. The garage to your property has a few important jobs. It’s the place where you most likely park your car(s) or where you store personal belongings. It’s also an entrance to your home, meaning if the overhead door to your residence is not functional it could be available to a burglar or worse. If your garage door suddenly breaks, you could be locked in or out and unable to leave the garage unmonitored. This can be avoided by having your garage door examined by a one of our expert techs and with garage door repair in 20878. During the assessment of your garage door(s), in case a concern is discovered by one of our professional technicians, we will inform you about what repairs are necessary to avoid complications later. 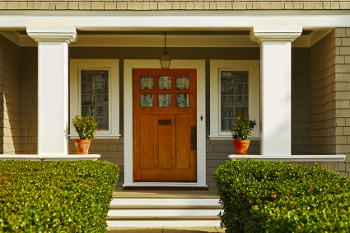 Your house is your refuge and therefore, you need properly maintained entry doors to keep your family safe. Have confidence in the techs at King Door and Lock to install and repair all interior and exterior residential doors. One of our areas of expertise features repairing and replacing balcony doors for Gaithersburg, Maryland homes. Furthermore, we replace and repair household doors for Gaithersburg locals that includes: front door repair; entrance door installation; interior services such as the repair of closet doors, bedroom doors, pocket doors, and sliding glass doors. In case you have a door requiring repairs, we will advise you honestly whether it might be more affordable for you to repair the door or to replace it. With honest, upfront pricing, experienced techs, and a helpful staff, you can certainly expect services that will surpass your expectations. Give King Door and Lock a call for a free quote and to learn more about our door installation 20878 expertise! No door installation or repair job is too big or small for our technicians. Also, since our company is local to the 20878 area, we pride ourselves on outstanding customer satisfaction and delivering premium services. Give us a call ASAP if you’re contemplating upgrading the doors to your home or business, or if your doors need servicing or repairs. 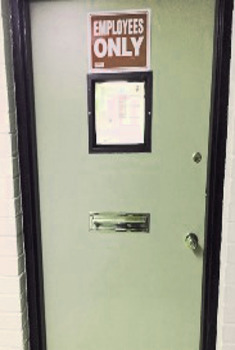 Door Installation 20878 Company in Gaithersburg, MD https://kingdoorandlock.com/maryland-door-installation/montgomery-county/gaithersburg/20878-md/ 4.3/5 based upon 6 reviews.